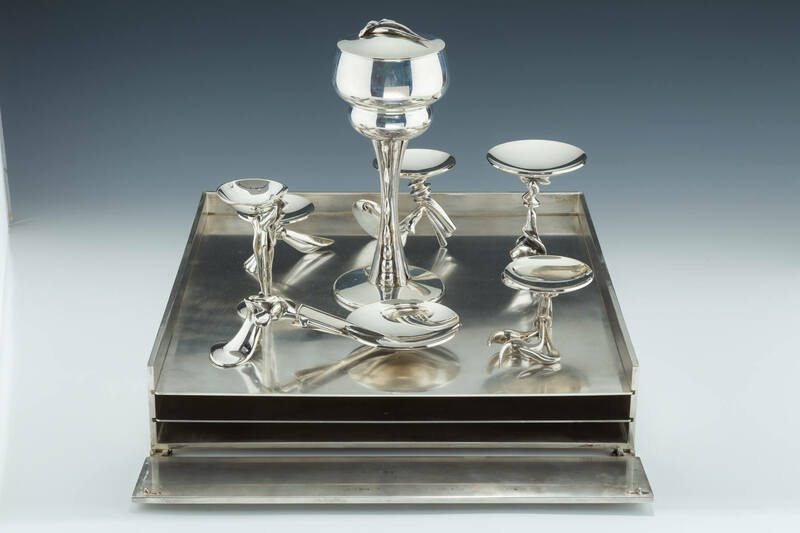 A LARGE STERLING AND MARBLE SEDER SET BY RICHARD FISHMAN. Set on heavy marble base. With holders for ritual foods and an independant covered cup of Elijah. 14” x 14”.